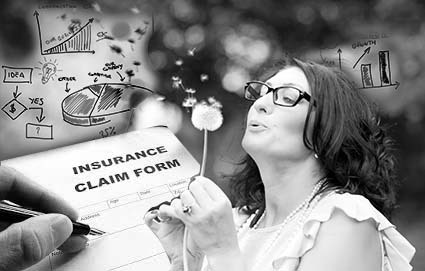 Insurance Claims Analysis services help Insurance providers improve the quality of claims by increasing the probability of identification and acting on fraud as they occur. With ever increasing cases of fraudulent claims, this analysis helps Insurance providers maximize revenue and profitability by taking timely action. With ever increasing cases of fraudulent claims, Insurance companies worldwide are constantly working towards improving the quality of claims by identifying fraud or suspicious claims as accurately as possible and on a real time basis. Market Equations offers Insurance claims analysis services to Insurance providers to help them identify fraudulent claims and take timely action to help avoid huge loses involved in holding these high risk accounts. Market Equations helped a large insurance company in the United States develop an analytics based scoring engine that identified fraud and suspicious claims in real time helping the provider take corrective action and avoid huge losses. Developing an analytics scoring engine that flag potential fraud/suspicious claims through a set of rules or key indicators. Insurance claims Data used in this study included claims behavior data, demographics, historical policy information, claimant's profile, macro-economic data and circumstantial story. Statistical methods like correlation, association rules, clustering of variables etc. was used to identify the key drivers. Logistic regression was used based on the distribution of fraud claims to key drivers. The predictive model was developed to evaluate fraud claims as soon as they were entered and registered into the system and the scores were used to flag potential fraud or suspicious claims. An automated process to identify fraud or suspicious claims helped the client raise alarms thereby helping them reduce high costs involved in holding these high risk accounts. With a high accuracy level the company was now able to give preferential treatment to claims that have a high likelihood to turn fraud based on the high risk scores associated with these accounts. Founded in 2006 and among the first Data analytics outsourcing firms in India, we help organizations apply extensive analytics to harvest and nurture data; uncovering hidden truths and interdependencies that eventually translate to actionable business insights. Market Equations India offers Insurance claims analysis services to Insurance providers globally to help them identify fraudulent claims and take timely action to help avoid huge loses involved in holding these high risk accounts.